Travel Videos HD, World Travel Guide is an island in north-western Europe which has been divided politically since 1920. Most of the island is made up of Ireland (Irish: Éire, also known as Poblacht na hÉireann = the Republic of Ireland). The remainder is Northern Ireland, which is part of the United Kingdom. Blarney Castle – Located in County Cork This historic castle is known for its “Blarney Stone.” Tradition is that if the Blarney Stone is kissed, one will be blessed with great eloquence, better known as “the gift of the gab.” One kisses the stone by lying back and being held by an employee of the castle. Photographers are there to capture the moment! Cliffs of Moher – Located in County Clare One of Ireland’s biggest and most visited tourist attractions. The Cliffs are 230 meters in height and tower over the Atlantic Ocean. This attraction, whilst beautiful in the Summer, can be a bit of a tourist trap. If you intend to take your own transport, the over-priced car park is your only option (since the road is too narrow to park on) and to purchase your ‘pay-and-display’ parking ticket, you will need to go all the way through the gift shop (on the opposite side of the road), before returning to place it in your car. Kilkenny – One of Ireland’s favourite tourist spots, this Medieval Capital just 1 hour 40 minutes train out of Dublin City is a must see. 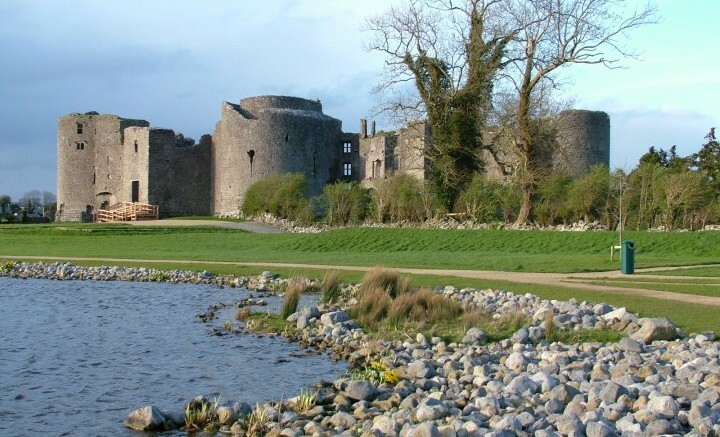 Its beautiful buildings and of course imposing Norman Castle – not to mention the numerous festivals including the Arts Festival and Rhythm and Roots Festival – make Kilkenny a most desirable location. Co. Donegal – An amazing area to see if you have your own transport, as bus services can be fairly limited. This part of the country is very traditional and you can expect to see plenty of low stone walls, thatched roof houses, rugged hills, cliffs and golden sand beaches. Best visited during Spring or Summer, there are plenty of hills walks and photo opportunities waiting to be discovered. Bus Tours – For travellers wishing to experience Ireland on a budget, there are a variety of inexpensive bus tours in almost every part of the country. These tours can range from hop-on hop-off busses in major cities such as Dublin and Cork to 5-day trips through some of the most scenic parts of the country. The bus drivers/guides are generally well informed about Irish history and enjoy sharing local legends and songs with anyone happy to ‘lend and ear’.